Blogtober day 7! This was suppose to go up last night, but I actually went to see Nevermind the Buzzcocks being recorded and didn't get home until after midnight. So like I said, I went to see Nevermind the Buzzcocks last night at Elstree studios, where they are actually filming the new Star Wars film. Crazy! I applied for some free tickets on Applause Store a few weeks ago, and got sent some general tickets. If you've ever been to see a show recording before, you'll know that they give tons of general tickets away just in case people don't show up. but that also means people can get turned away. So last minute I decided I would actually go, as seeing Noel Fielding IRL was too big of an opportunity to miss out on. The show was so funny as expected, and it was just an awesome opportunity to see all the extra bits they won't edit into the final cut. The guests where Nicole Scherzinger, James Acaster, Har Mar Superstar and Kerry Godliman. And of course team captains Noel Fielding and Phill Jupitus, and the host Rhod Gilbert. It was a really great night, and I recommend to everyone if you fancy something different to do. Last year I went to see Loose Women being filmed, and you can read all about my Loose Women experience here. Before we got the train to the studios, we went out to Chambers in Canterbury. 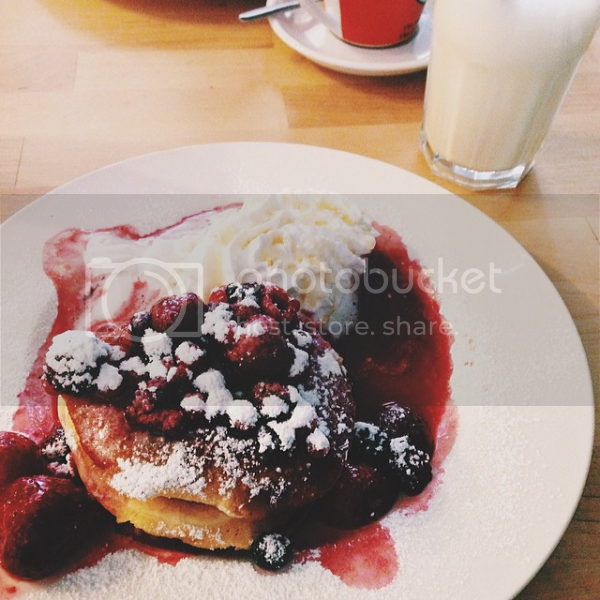 It is a American style cafe which serves tons of different types of pancakes, bagels and burgers. I got the pancakes covered in hot berries and cream with a banana milkshake on the side. It was soo delicious and is making me hungry just thinking about it now. Om nom nom. Nowadays, I don’t tend to go on holiday very often. When I was a child we use to go camping every year in Mersea, which was only a 20 minute car drive from our front door. We would camp in one of those trailer tents, I don’t know who thought that was a good idea, but I guess it was the 90s. 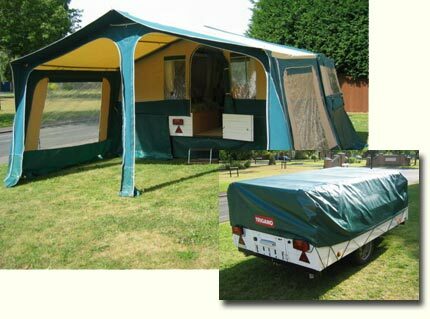 Once the trailer tent was finally destroyed by rats, my parents brought our first caravan. We would go camping in various places around the county. Since the very beginning, I have always hated camping but enjoyed the holiday due to my love of exploring new places. When I got to my preteens, we started going abroad more regularly. I have some real ‘worst vacation’ stories when it comes to going across seas. My first time abroad was to France. It was a holiday packaging deal that went through my primary school (strange I know). It was a coach trip that went from our school parking lot to Dover, onto the Eurotunnel, and then to Paris. All well and good until our coach driver decided to go on strike half way through the journey (even stranger I know). I was only 6 years old (I think) so I didn’t really know what was going on, but I do know it took FOREVER. But Disney land was good though. My second holiday nightmare story was in Spain. I was about 10 years old and was my first time on a plane. All well and good until we got to our hotel and they told us we weren’t booked in. Great. I just remember my Mum being in panic as we had to find somewhere else to stay last minute. We ended up at a 5 star resort, which was pretty awesome. All I remember is a massive buffet for every meal and so many pools. Once we returned home my mum claimed and got compensated for our troubles. This kind of sounds like a ‘best vacation’ story but it wasn’t. My most recent vacation was a weekend trip to Rome earlier this year. I went with my 2 housemates and was the first time I’ve travelled abroad by myself. When I say ‘by myself’, I mean without my family. I think this was probably my favourite vacation. Rome is a beautiful place which I had never been to before. In fact, I’ve never been anywhere quite like it. All my past holidays have been in sunny locations right next to a beach. But Rome was my first city break, and I much preferred it. It was also really nice to go with my housemates and explore with them. 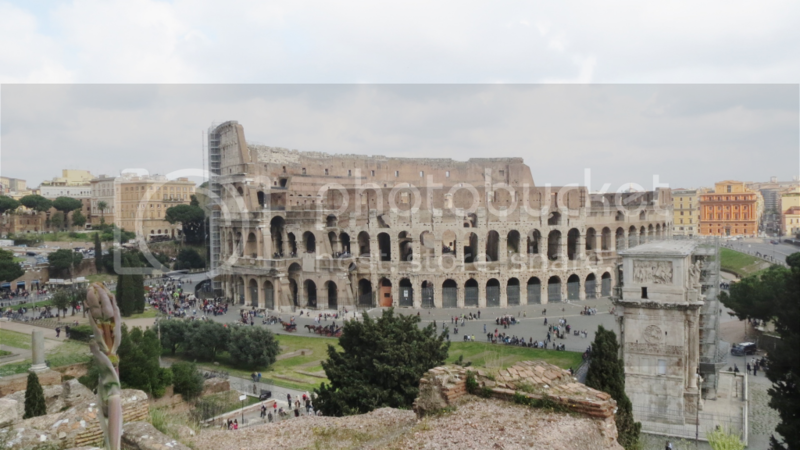 I have more photos from that holiday over on my Rome post. Do you have any worst or best vacation stories? 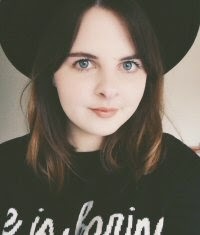 Blogtober | Who Would Star as Me in a Movie?